ScottMadden and RTI International assisted Bruce Power in streamlining and automating its environmental monitoring programs. The result of the improved environmental monitoring program was a significant reduction in time and effort spent collecting, analyzing, and reporting on data. This new report focuses on the idea of “smart cities.” To learn more, click the download button above or read the full summary below. As municipalities seek to grow and invest in infrastructure, there is pressure to modernize and incorporate new technologies, integrate sustainable resources and methods in order to increase the city’s attractiveness and productivity, and improve citizen satisfaction (and prospects for elected officials’ re-elections). Recently, there has been much discussion of smart cities. In this paper, we provide a brief introduction to smart cities and a framework to help visualize potential components and identify a simple, step-wise path to successful support by energy utilities of their communities’ efforts to pursue “smart city” initiatives. In many ways, the smart city is today what the smart grid was a few years ago—a term that is broadly used but without a consistent definition. Like the smart grid, defining what exactly makes a city “smart” is inherently challenging. “Smart” is open to interpretation. “Smart city” priorities are driven by the unique interests, challenges, and capabilities of a particular municipality. The menu of potential projects, applications, and technologies may be broad and diverse. Further, many smart city projects are still in the early (pilot) phases, and few of the newest technologies have been fully rolled out or implemented at commercial scales. Finally, smart city is an evolving concept and a moving target. It is difficult to state with certainty today what the smart city of tomorrow, with all of its promises and possibilities, may look like. A “smart city” is one that employs a network of digital sensors, information controls, Internet-of-things technology, and automation to create a system that improves quality of living by reducing costs, creating new and better services, improving sustainability, and helping the city grow and compete for businesses, institutions, and residents. Smart cities provide a fruitful ground for solutions that combine the design and implementation of intelligent assets with key principles of the “circular economy.” These solutions are driven both by businesses and entrepreneurs—forming synergistic ecosystems of services that increase asset and resource productivity—and policymakers, who are in the position to make large-scale infrastructure investments, design regulation, and use sensor-generated data to create incentives for more effective resource use. While many models identify a comprehensive suite of capabilities, core to smart city infrastructure are the sectors, objectives, and technologies outlined in Figure 1. In addition to these sectors, communications, healthcare, and education are also frequently referenced in smart city conceptual frameworks. There are many technologies that can be considered elements of a potential smart city plan, energy—given its technological maturity, pervasive application, and existing infrastructure—is often a good point of focus for city planners. Energy utilities possess a physical network with a ubiquitous footprint underpinned by a data control network. Most smart city visions call for one or both of these network capabilities. It may be less efficient for the city to build a data network from scratch than to piggyback on the utility data network already in place. Especially since those networks are being funded by utility customer-citizens and in many cases are being digitally upgraded as utilities build out advanced metering infrastructure. What is the opportunity for utilities? As utilities consider their roles in smart city initiatives, they should first focus on the build-out of core assets and capabilities, emphasizing their advantage as incumbent network owners and operators, to find opportunities to get more out of the utility energy network. By focusing first on quick wins with proven technologies that leverage the existing network, utilities can engage stakeholders and establish their roles as partners and leaders in the process. And they can produce economic benefits to fund further pilots and initiatives. As opportunities and technologies continue to evolve, utilities will then be well-positioned to continue to leverage their assets and capabilities into new areas. In this first phase, utilities should examine information and data resources provided by existing technologies and assets such as smart meters to identify opportunities to get more out of the utility energy network. Proven solutions that add automation and controllability to devices like water heaters and street lights can provide utilities with quick wins, demonstrating the ability to improve services while reducing costs and minimizing risk in early smart city initiatives. In the second phase, utilities can broaden their approach to consider initiatives beyond energy-focused projects. Utilities may identify additional opportunities to leverage their information and data resources to augment other city services, and they may also consider further testing and building new capabilities on platforms implemented in the first phase. Utilities may identify other opportunities to further leverage their assets and workforces in new ways to support smart city initiatives. In the final phase, as utility, municipal, and regulatory goals and objectives for smart city initiatives continue to evolve and align, utilities may consider further expanding into entirely new areas such as transportation and customer/ citizen engagement. As new innovations and technologies are identified, utilities should have strategy and a plan for identifying, piloting, and testing new concepts. As technologies advance beyond the “science experiment stage” and successful pilots, however, utilities may choose to venture farther afield, building new partnerships and expanding beyond the existing assets and the traditional energy network. This three-phase approach allows the utility to get more value out of its network, and offer more and better choices to customers and allows the city, and the people who live there, to get more value out smart city initiatives at less cost. 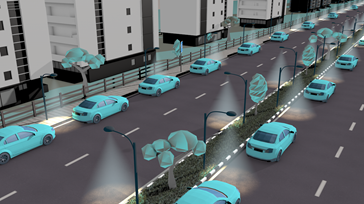 For utilities looking for a “phase one” entry point into the world of smart cities, they need look no further than one of the initial components of their network—street lights. Street lighting projects are a popular entry point into the smart city conversation because of their enormous potential to deliver a strong (and fast) return on investment. The combination of continuing urbanization and the increase in embedded intelligence in assets of all kinds will continue to push cities to consider smart city pilots and programs. How will cities address privacy and security concerns? What will be workable funding mechanisms—municipal borrowing, public-private partnerships, integration with federal programs? Something else? How can cities create alignment and collaboration among private and public stakeholders and secure the support of their citizenry? What is the expected return on these investments, how will it be measured, and will hoped-for cost reductions be achieved? Still, smart city investments are accelerating at a rapid pace, with a constant flow of U.S. cities and cities around the globe announcing smart city plans and initiatives, particularly over the last year. While the uncertainty of technology, innovation, and political support is not likely to decline, utilities need to forge a path forward, providing their organizations with clear direction, while maintaining balance and flexibility to react to unforeseen developments and opportunities in the future. Stuart Pearman (spearman@scottmadden.com) is a partner in ScottMadden’s Raleigh office and leads the firm’s energy practice. Chris Vlahoplus (chrisv@scottmadden.com) is a partner in the Raleigh office and leads the firm’s clean tech & sustainability practice. 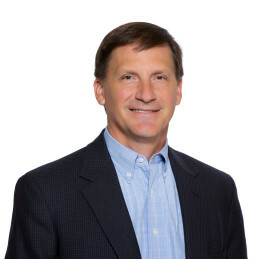 Greg Litra (glitra@scottmadden.com) is a partner and energy, clean tech, and sustainability research leader in the Raleigh office. Quentin Watkins (quentinwatkins@scottmadden.com) is a manager in the Atlanta office. The IssyGrid project in Issy-les-Moulineaux, a suburb south of Paris, combines solar panels on rooftops with power storage in recycled Renault car batteries and a local power grid that manages electricity produced and consumed in the neighborhood. IssyGrid—which includes 1,000 apartments and five office buildings with a total space of more than 200,000 square meters—will test the integration of new power, grid, and monitoring technologies with a view to rolling these out commercially. Per an April 2016 IssyGrid press conference, the grid infrastructure is now complete, and the first energy-related data, which have been published in real time, will now be broadly accessible. The residents, students, users, companies, and public facilities covered by this system are now in a position to interact in order to help optimize energy use via a sizeable smart grid with cutting-edge infrastructure. Less than four years after its launch, IssyGrid has now assembled all the components of an urban smart grid in the Seine Ouest and Fort d’Issy Business District in Issy-les-Moulineaux. This system enables consumption peaks to be smoothed and ensures the general balance of the grid is maintained, while reducing the district’s carbon footprint. The residents in connected homes can see their average electricity consumption throughout the day and the level of available solar power generation on an hourly basis, six hours in advance, giving them the option to shift their electricity consumption. IssyGrid’s scope is still being expanded, with more planned new connected buildings and facilities. Ultimately, IssyGrid will cover 2,000 homes (housing 5,000 residents) and 160,000 m2 of offices (10,000 employees). The IssyGrid application scope may gradually be extended to other sites in the city, or even to other energy grids in the Seine Ouest and Fort d’Issy District in the future.